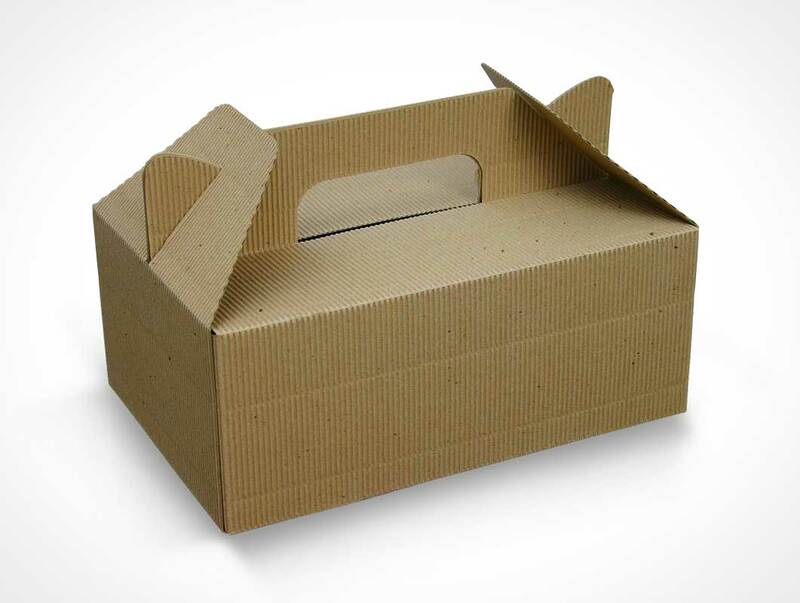 This PSD Mockup applies your design onto a corrugated cardboard fibre lunchbox. The multi-faceted box surface is entirely covered with the wavy rolling texture of the corrugated cardboard. A carry handle rests at the top of the box and acts as an anchor point to opposite wing flaps on the box ensuring the package remains closed while being carried. The shadow layers are thoughtfully placed on independent layers for easy customization.